The church was rebuilt by Henry VIII in 1542 to avoid plague victims from the area having to pass through his Palace of Whitehall. At this time, it was literally "in the fields" in an isolated position between the cities of Westminster and London. A number of notables were buried in this phase of the church, including Robert Boyle and Nell Gwynne. The church survived the Great Fire of London which did not reach as far as the City of Westminster, but was replaced with a new building, designed by James Gibbs in 1721 and completed five years later. The design was criticised widely at the time, but subsequently became extremely famous, being copied particularly widely in the United States. The church is essentially rectangular, with a great pediment in the Classical style supported by a row of huge Corinthian columns. The high steeple is topped with a gilt crown. Gibbs was certainly inspired by Sir Christopher Wren as the interior is very similar to St James's in Piccadilly. Various 18th-century notables were soon buried in the new church, including the émigré sculptor Roubiliac (who had settled in this area of London) and the furniture-maker Thomas Chippendale (whose workshop was in the same street as the church, St Martin's Lane) along with Jack Sheppard in the now lost adjoining churchyard. Because of its prominent position, St Martin-in-the-Fields is one of the most famous non-cathedral churches in London. It is famous for its work with homeless people through The Connection at St Martin's which shares with The Vicar's Relief Fund the money raised each year by the BBC Radio 4 Appeal's Christmas appeal. The church is also known for its regular lunchtime and evening concerts: many ensembles perform there, including the Academy of St Martin-in-the-Fields, which was co-founded by Sir Neville Marriner and John Churchill, a former Master of Music at St Martin's. 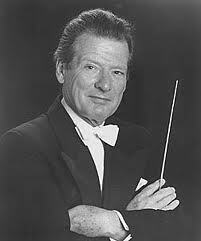 The group was founded in London in 1959 by Sir Neville Marriner as a small, conductorless string group. It attracted some of the most accomplished players in London, many of whom considered themselves to be refugees from conductors. Its name comes from Trafalgar Square's St Martin-in-the-Fields church, in which its first concert was performed, on November 13, 1959. The initial performances as a string orchestra at St. Martin's church played a key role in the revival of baroque performances in England. The orchestra has since expanded to include winds. It remains flexible in size, changing its make-up to suit its repertoire, which ranges from the Baroque to contemporary works. The orchestra's first recording was for the L'Oiseau-Lyre label at Conway Hall on March 25, 1961. The orchestra has since accumulated a vast discography, and is the most recorded chamber orchestra in the world, with over 500 sessions. The acoustics of this church are very nice. I made a recording of the rehearsal as a sample.